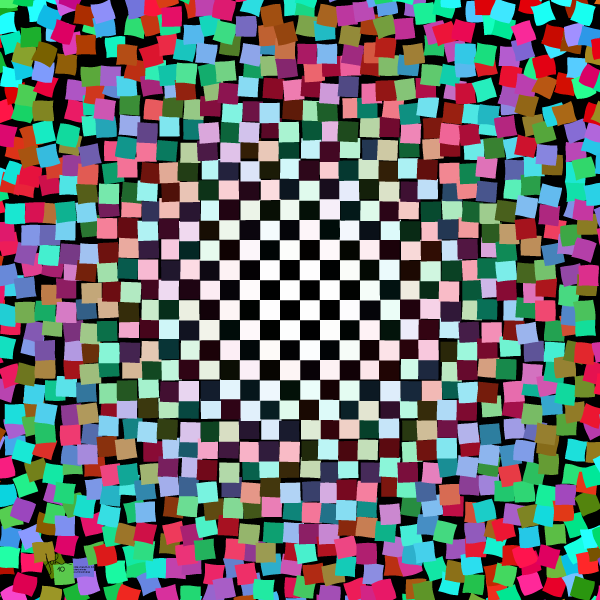 This is the same basic pattern adapted to a "radial" rather than a "linear" format. There is order at the center, metamorphosing to disorder at the edge. An island of order in a sea of chaos. Some people no doubt look at their own existence this way.